Please join ORURISA Emerging Professionals for our Winter Social on Friday, March 8th! 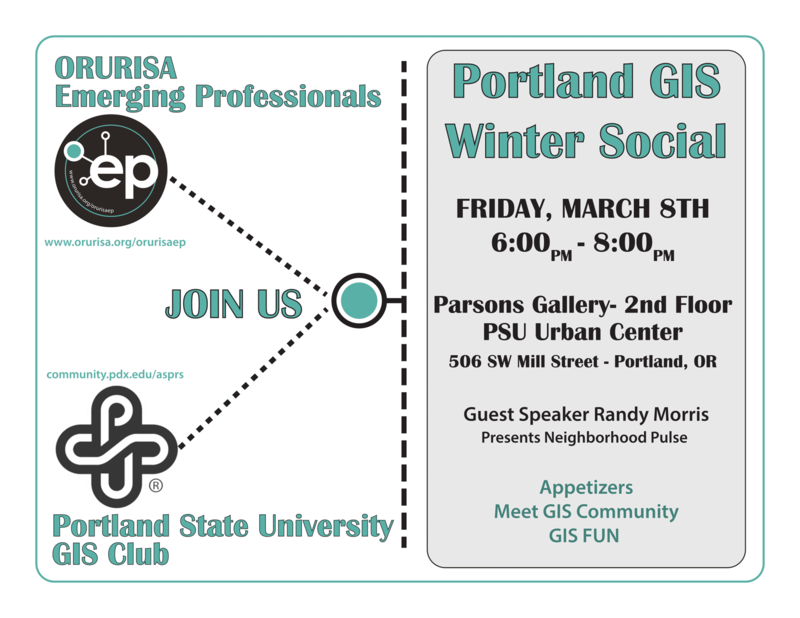 Catch up with peers and make new connections with other up and coming members of the Portland GIS community while enjoying appetizers and a presentation by Randy Morris on IMS's Neighborhood Pulse project. This event is free and all are welcome, RSVPs appreciated but not required. We look forward to seeing you there!